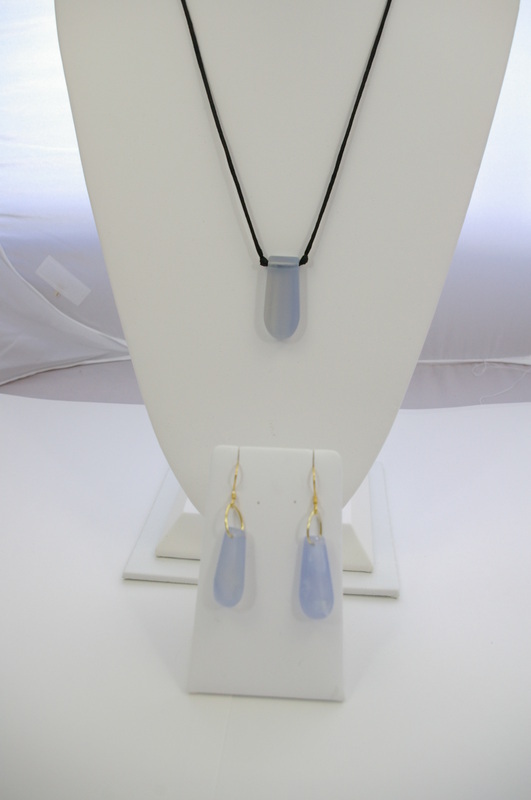 Blue Chalcedony tile on adjustable cord with earrings in Gold fill. 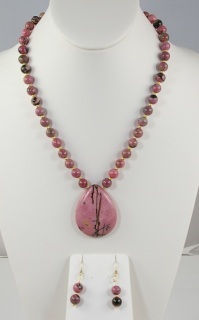 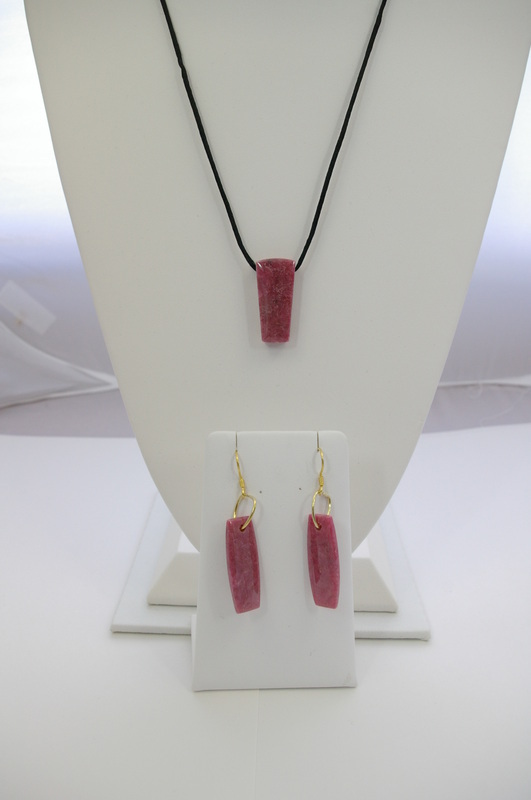 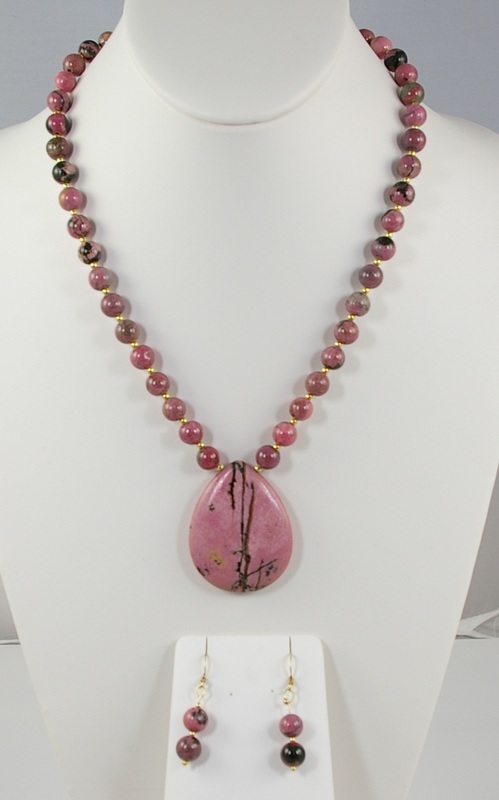 Rhodonite tile on adjustable length cord with earrings on gold fill. 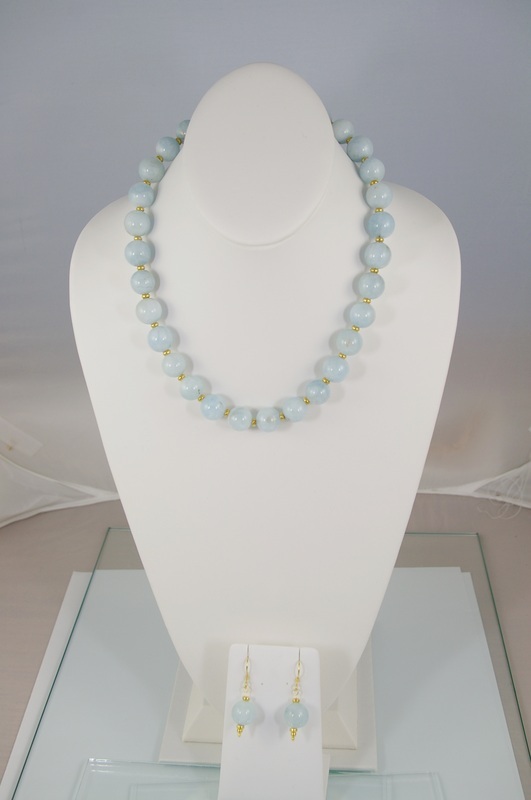 14mm Aqua beads with gold vermeil spacer beads plus earrings. 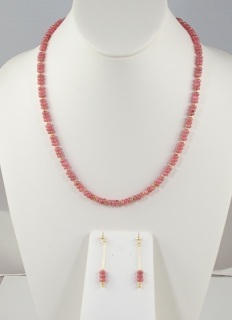 Rhodocrosite beads with gold fill spacers and matching earrings. 19"
19" necklace with gold fill spacer beads. 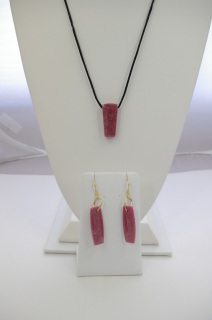 Matching earrings.